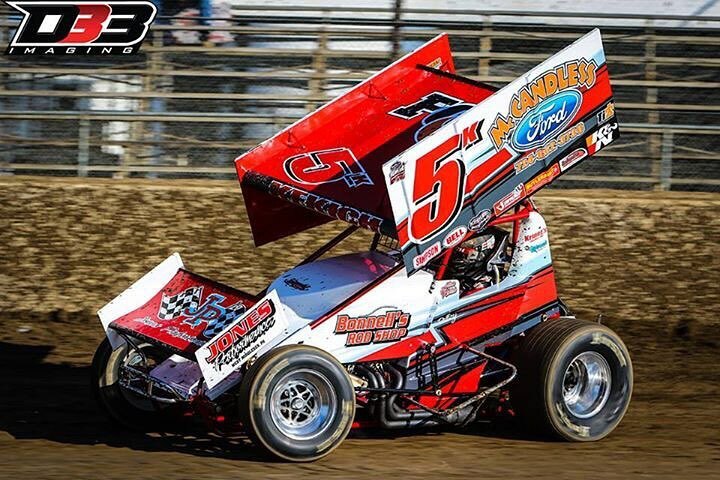 8-17-2017 - As the race season has progressed, Adam has had more opportunities to show off what his Kriner powered GF1 machine can do, what the team can do, and how he has progressed since moving into the 410 sprint division a few short years ago. 7-18-2017 - The team loaded up the McCandless Ford machine and headed to Lernerville for the prestigious Don Martin Memorial. Adam qualified 10th quick in the field of 39 World of Outlaw competitors, which set him to start 5th in his heat. Unable to transfer to the feature from the heat, Adam ran the B, and while the car was fast he was just not able to move forward and transfer. 7-28-2017 - Back at Attica to run with the F.A.S.T series. The 5K qualified 9th and won the heat race. When the green flew on the A Main, Adam worked his way from his 6th place starting spot to 4th, but burned off the tires and dropped back for a 13th place finish. 7-29-2017 - The F.A.S.T series moved on to Fremont for the second night of a double header weekend. Adam posted the 5th quickest time in qualifying. Lined up 3rd for the heat race, the 5K held its spot to move on to the feature. Adam started the main event in 6th and finished 8th. "While we lost a couple spots tonight" Adam commented after the race, "we gained a lot of knowledge on how to make this car work on a slick track". "Looking forward to our next race here". 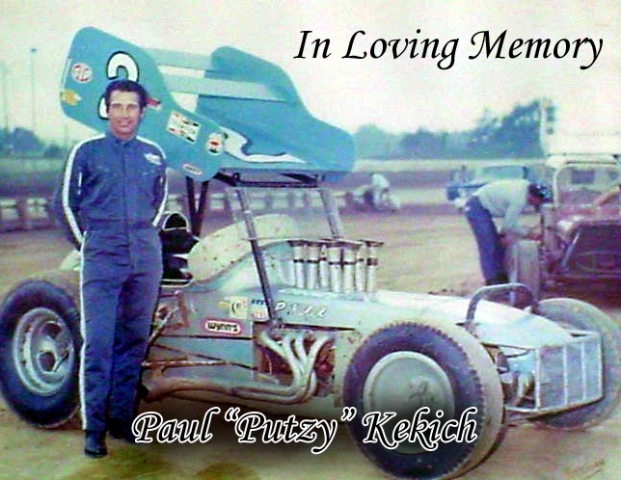 8/5/2017 - If there is an event the team looks forward to every year, it's the Putzy Kekich Memorial at Mercer Raceway Park. This year Adam rolled in with confidence in his team and fond memories of his Grandpa. The entire night was a tribute to the man that truly made sprint car racing a Kekich Family Tradition. Adam ran 3rd in his heat race, and lined his machine up to start the feature from the 7th spot. Coming on strong, he had made his way to 3rd when he hopped over the cushion and dropped back. He battled his way back up to 7th and ran out of laps. "We had a car that could have won tonight" he lamented, I cost us this one". 8-12-2017 - The team headed to Mansfield Speedway for the Great Lakes Dirt Nationals, a huge event bringing many of the regions best teams to duke it out for $10,000, and a chance to lock in for the 2018 Sprint Car World Championship paying $100,000 to the winner. The huge 1/2 mile track didn't intimidate the team or their driver, as they started their heat on the pole and settled in to run the entire race in 2nd spot unchallenged. This secured one of the 3 transfer spots into the night's A Main with a 5th place starting position. From the drop of the green, you would have thought Adam had hundreds of laps on the new dirt surface as he marched forward. After a few laps in 3rd, Adam powered around the top to take the 2nd spot and never looked back. Not only was the night a confidence booster for the team and driver, but it locked the Kekich machine into next years $100,000 to win event.